Legendary songwriter John Hiatt announces new album ‘The Eclipse Sessions’ for October 12th! John Hiatt is set to return with The Eclipse Sessions on 12th October 2018 via New West Records. The 11-track set is the Grammy nominated legend’s first new album in four years. It was produced by Kevin McKendree (Delbert McClinton) and features Hiatt’s longtime drummer Kenneth Blevins and bassist Patrick O’Hearn, as well as Yates McKendree (Kevin’s 17-year old wunderkind son, who also engineered). The Eclipse Sessions will be available across digital platforms, compact disc, vinyl, as well as a limited split metallic & white vinyl edition available at Independent Retailers. 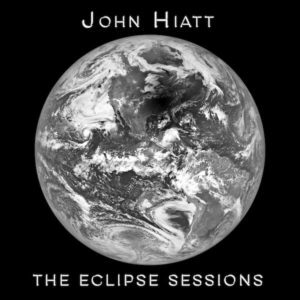 John Hiatt’s The Eclipse Sessions is available for pre-order now. William Clark Green: The Texan opens about ‘Hebert Island’, how he wouldn’t change being a songwriter for anything and much more in this revealing interview! William Clark Green – Hebert Island Album Review: We listen to the fifth album from the Texan songwriter!